Today I'm sharing with you my honest thoughts on a luxury beauty device called the ReFa Carat. 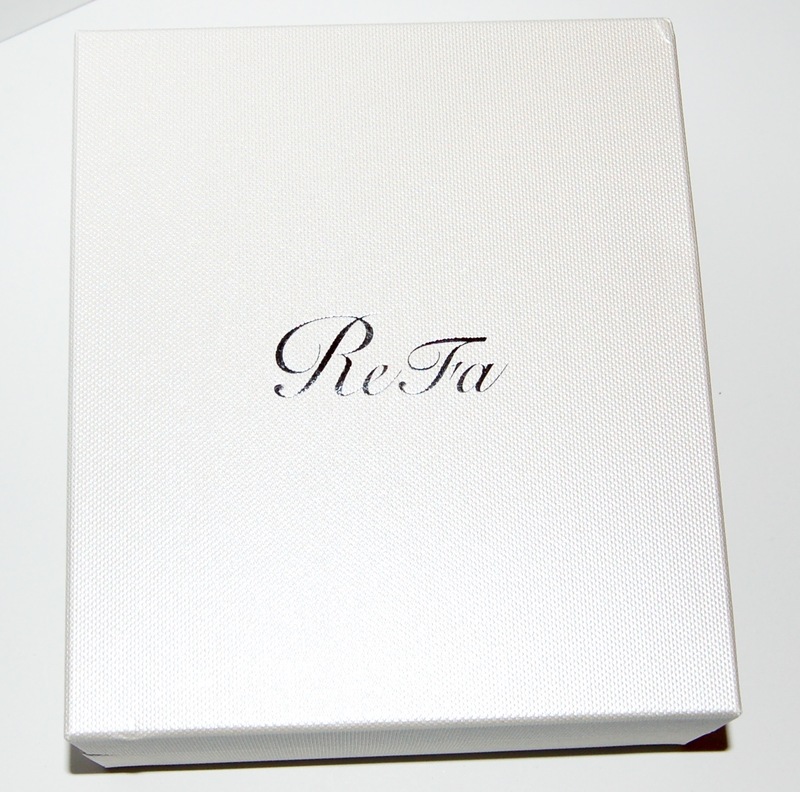 The ReFa Carat is a skin rolling device that you roll on the face and neck for improved firmness and tone to the skin. 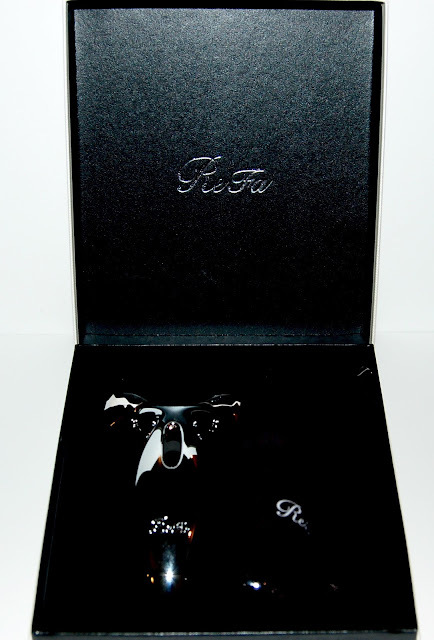 It came beautifully packaged in a white box with black velvet interior. It came with a velvet baggie and a soft cloth to wipe the device with. Waterproof and easy to use, the ReFa CARAT results in skin feeling smooth and taut with a renewed vitality. I've never used a product like this before. It's very sturdy and you can tell right away that it's a well-made product with lots of attention to detail. The rollers move effortlessly along the skin. I love using this along my jawline (it "fits" perfect there) and along my cheekbones. The coolness of the metal feels amazing on my skin, especially when it rolls close to my under eye area. It feels like I'm getting a face massage when I use the ReFa Carat! I can't really speak to the mild electric current that comes from the solar panel (the clear area on the top part of the device) because I don't feel anything (but I don't think I'm supposed to). I use this while I'm sitting on my couch at night watching tv. I've been using it for a few weeks now and I can't really say that I've noticed increased toning or firmness, then again my skin isn't exactly sagging enough to really notice those types of things. This can also be used to ease sore muscles like those on the neck, legs, and arms. I took a hot yoga class the other night (which was torture by the way!) and this felt great on my sore muscles the next day! I've loved using the ReFa Carat the past few weeks and will keep using it. It can be purchased at Skinstore for $290. I know what you're thinking, "YIKES"! Yes, that is a high price that's why I'm calling this a luxury beauty product. If you enjoy trying innovative luxury beauty products and devices, then this products is for you. Have you ever tried a beauty device like this before?